The former Swedish footballer was born on the 3rd day in the month of October 1981. His parents, Šefik Ibrahimović and Jurka Gravić practiced different religions. While his father is a Muslim, his mom is Catholic. Zlatan Ibrahimovic has five siblings comprising of two brothers and three sisters- Sanela, Sapko, Aleksander, Monika, and Violeta Ibrahimovic. Ibrahimovic’s love for football started from an early age as he began playing the game when he was six. It was also at that age he received his first pair of football boots. His kind of passion for football was rarely seen, he was filled with so much zeal that he often times stole people’s bicycle just in a bid to meet up for his football training. At some point, he gave up on his dreams as a footballer as he wasn’t getting the vibes he thought he merited. So, the footballer decided to do menial jobs. In all, he stayed away from football for a whole year before deciding to reignite his dreams after he was inspired by his former coach. He landed his first professional contract with his hometown football club side, Malmö FF and got his senior debut for the club in the 1999 football season. After playing for two seasons, he left the club to join AFC Ajax. Through his years as a footballer, Zlatan Ibrahimovic has been a top player and has lined up for the very best sides in the sport. He has played for clubs like Juventus, Inter Milan, Barcelona, AC Milan, Paris Saint-Germain, Manchester United and is currently playing for MLS side, LA Galaxy. Zlatan’s excellence has reached out to most people around the globe, he has been celebrated not only a skilled footballer but as a national hero. In fact, his first name Zlatan is an English dictionary word used to describe one’s awesomeness and uniqueness. He is a polyglot, speaking five different foreign languages including Sweden, Bosnian, Italian, English and Spanish. 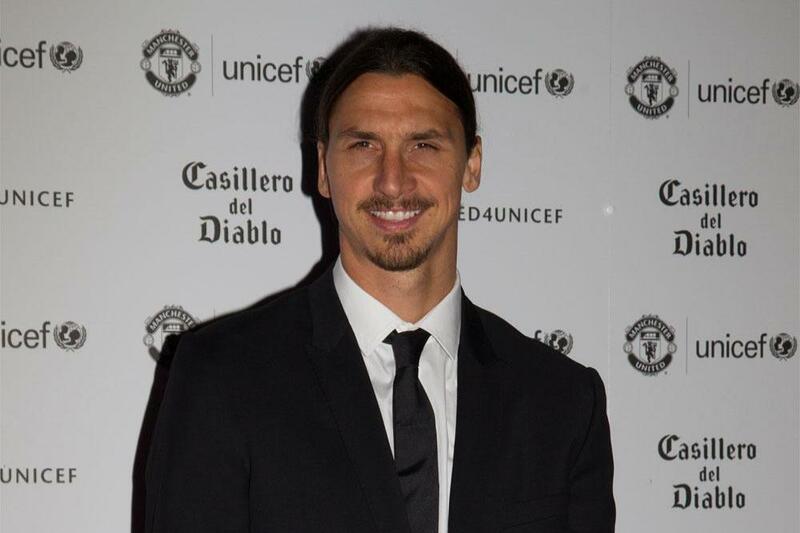 Zlatan Ibrahimovic is a married man. He started dating Helena Seger in 2002. Sources say that the two dated for a long period of time before eventually tying the knot in a secretive wedding. Having said that, it is important to also note that some sources also say that the two are yet to be married but pointing to the fact that Helena often refers to the footballer as her husband, we would rather say they are. Helena on her part is way older than the footballer, however, this has not in any way affected their love for each other. 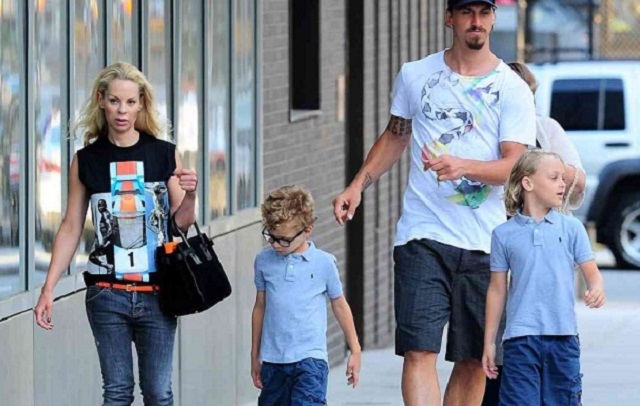 Together, they share two children; Maximilian Ibrahimovic; born September 22, 2006, and Vincent Ibrahimovic; born March 6, 2008. While her husband created a blooming career in football, Helena Seger is no idle woman. She is a Swedish model and a business tycoon. She was born on the 25th of August, 1970. Before she became established the business and modeling world, she often did menial jobs to survive. She formerly tried acting before settling for a job at Bonnier Presenta. Zlatan’s football career success is not hidden. He has played for several clubs and is currently in the MLS club, LA Galaxy and has made most of his fortunes from his career. When he played for Manchester United, his peak annual salary was $35 million. In his last year as United player, he earned $27 million. However, he took a huge pay cut (95%) to join LA Galaxy. With the club, his annual salary is $1.56 million (£850,000). Currently, his net worth is pegged at $190 million. The athletic duties on the field as a footballer is enough exercise to keep one fit. Well, Ibrahimovic has everything about his body physique in check. His height of 6 feet 5 inches put him in good stead to win high balls against any opponent. He carries a weight of 91 kg and is adequate with body control while making all the turns, runs and kicks on the field. He measures 42½ – Chest size, 15¼- Biceps and 35½- Waist.